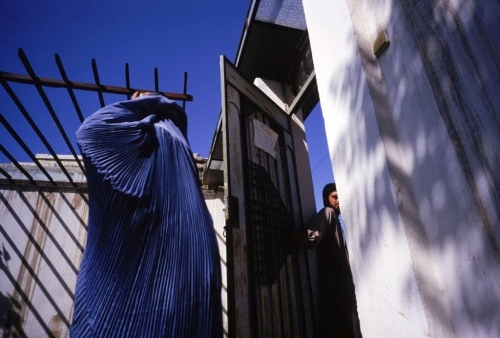 Photographs from Afghanistan 1998 in Kabul and 2000 in Kandahar showing life under Taliban rule. 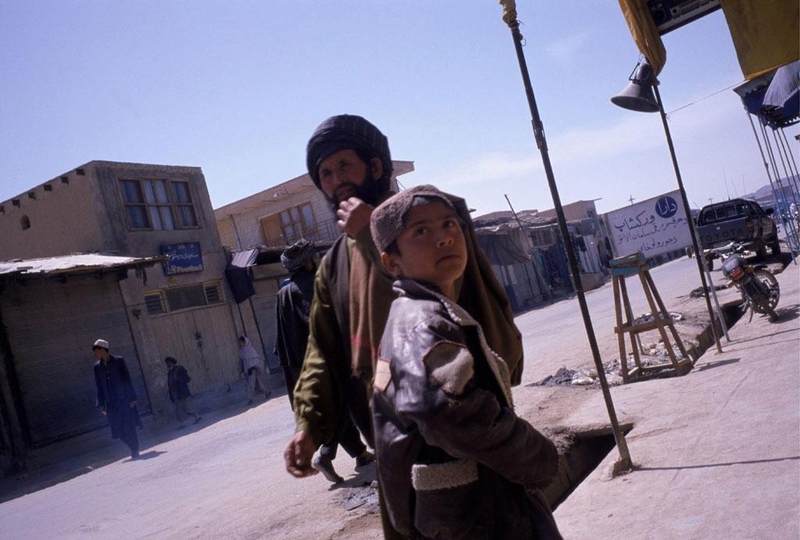 Kabul, 1998. A woman holds an earlier diploma. 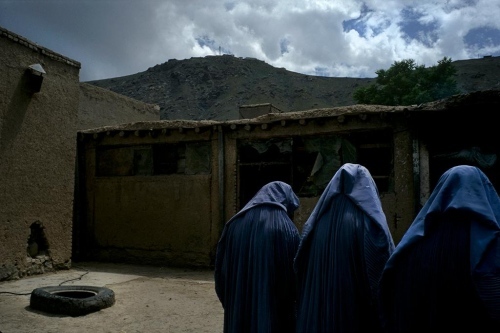 She had wanted to continue her education but the Taliban take over of Afghanistan in 1996 eliminated school for girls and women. 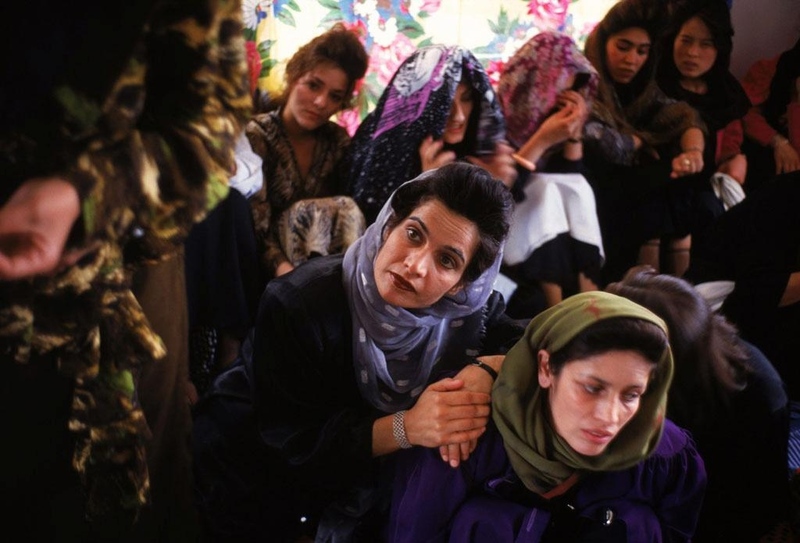 Kabul, 1998. A young girl at a widows' bakery. 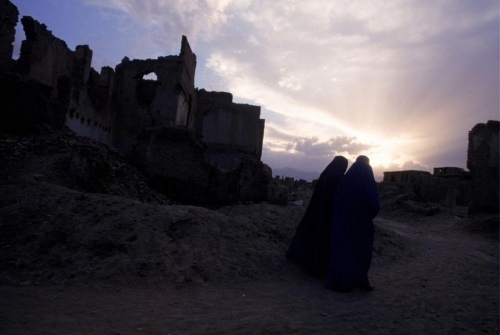 Kabul, 1998. Widows bakery. 50,000 widows lived in Kabul with no employment permitted except for a few of these bakeries run by the World Food Program. Kabul, 1998. A Kabul neighborhood left in ruin following decades of war supported first by the USA and Soviet factions, and then between Afghan factions. 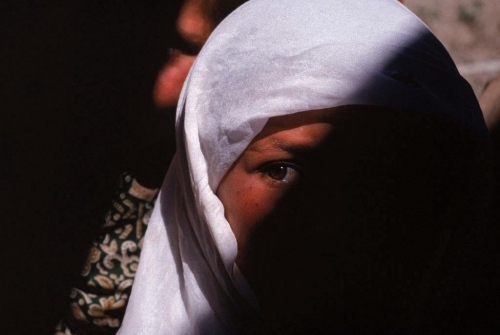 Kabul, 1998. A young woman outside a widows bakery. 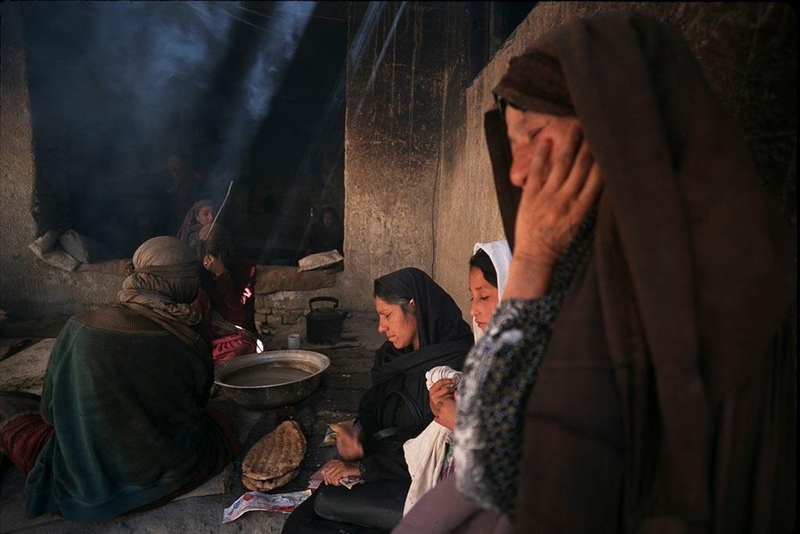 Kabul, 1998. 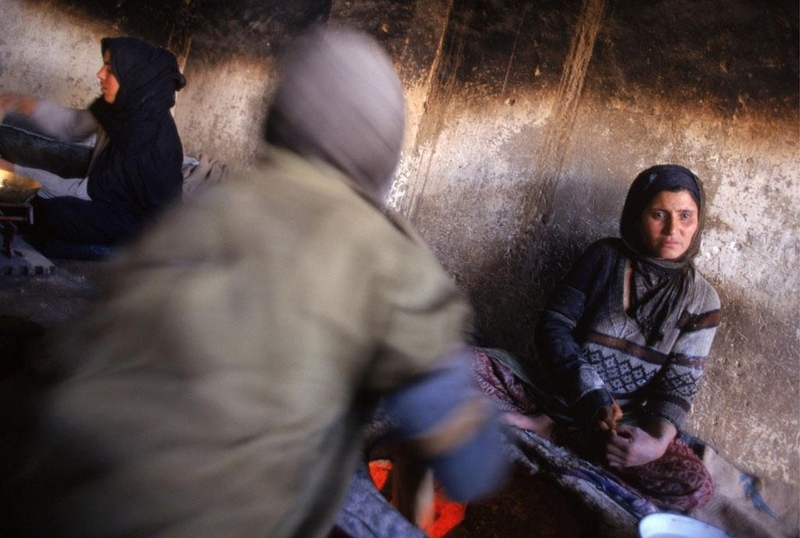 A woman enters a compound to attend a class about childbirth. 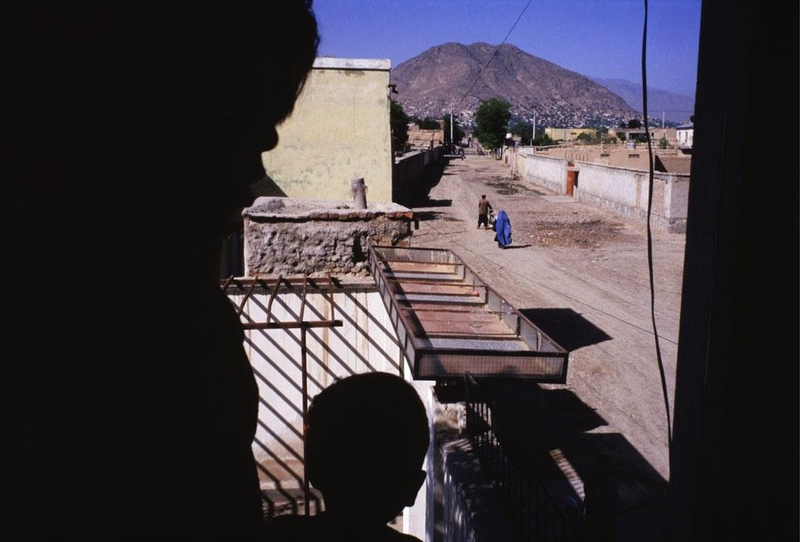 Kabul, 1998. Women at a childbirth class. Kabul, 1998. A woman and her child peer out a window. She was nervous to be seen speaking of neighbors reporting on each other. 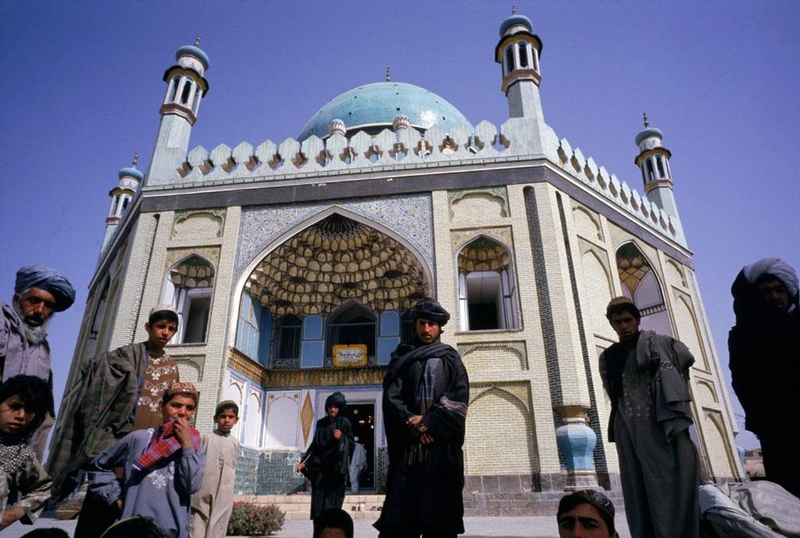 Kabul, 1998. A woman at home with a forbidden cassette player. 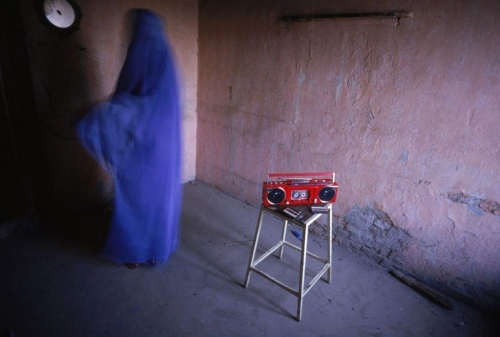 When the Taliban seized power in 1996, music was forbidden. Kabul, 1998. A widows bakery. 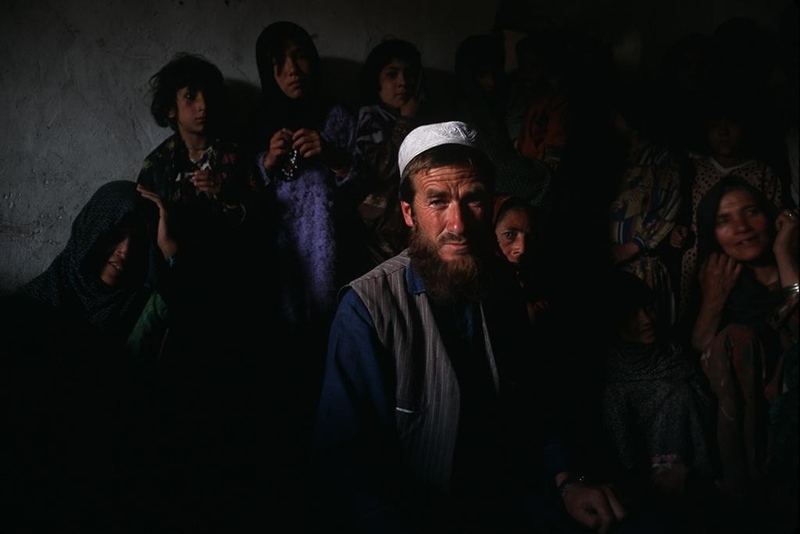 Logar Province, 1998. A local Taliban leader at his home. 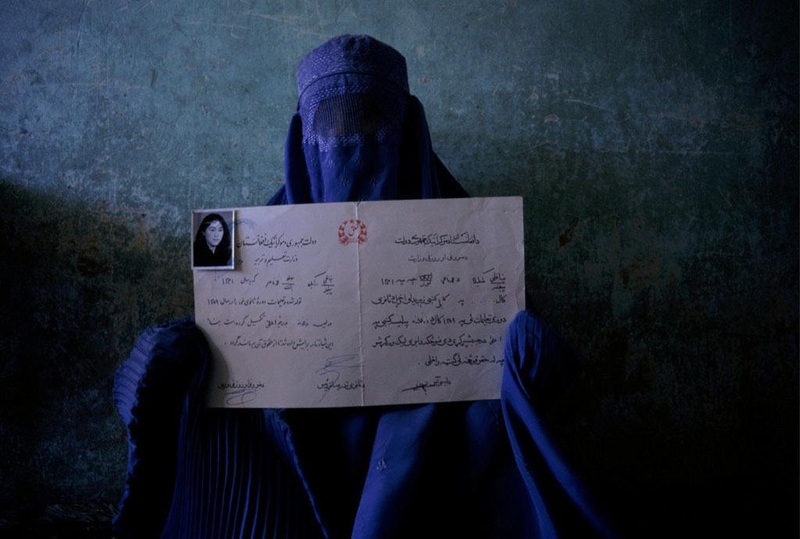 Despite Taliban restriction regarding photography and dress, this man welcome myself and Newsweek reporter Carla Power and graciously allowed himself to be photographed. Kandahar, 2000 Street scene and loudspeaker for the call to prayer. 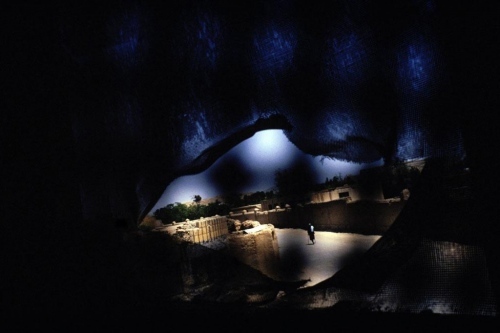 At that time, few foreigners walked the streets of Kandahar and photography was not permitted. 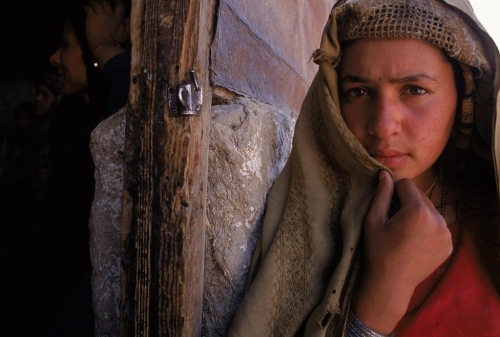 Kabul, 1998. A view through a burka, looking out a window partially covered. The street scene shows an amputee, most likely wounded from war, walking on the street. Kandahar, 2000 Residents and Taliban stand in front of the main mosque in Kandahar.